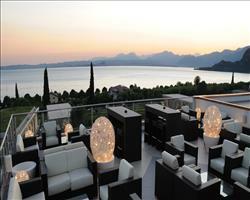 Lake Garda’s wine capital, Bardolino is a bustling town surrounded by lush hills of olive groves and vineyards. With spectacular scenery and an array of things to do and see in all weather, it’s an ideal place to stay for all kinds of holiday, whether you’re seeking sightseeing, sports or simply a taste of Italy. 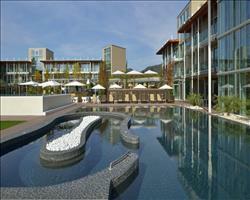 This is one of the bigger resorts on the south-eastern side of Lake Garda. 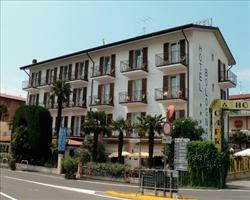 The town is set around a pretty harbour and main square and lies between Garda to the north and Lazise to the south. It has a traffic-free centre where cosmopolitan cafes and restaurants with live music give the town a vibrant atmosphere at night, perfect for sampling the local wine. Find the best places to eat and drink on our restaurant and bars pages. The lakeside promenade is lined with grass verges and small jetties and offers a scenic walk to neighbouring Garda and Lazise with numerous gelateria where you can pick up a fabulous ice cream to enjoy along the way. You can catch any number of hydrofoils and ferries from the harbour to explore Lake Garda and a bus service runs along the east coast. The main events on Bardolino’s calendar are the wine festivals which bring a fantastic atmosphere to the lakeside and are a great way to soak up some local culture. The Chiaretto Rosé wine is celebrated in May and the famous Grape and Wine Festival in October. Even if you don’t visit during these festivals, you can go for a vineyard tour and wine tasting any time of year. For more details about what’s on, check out our Bardolino Events page. The list of things to do here goes on and on... this is a brilliant place for cycling and walking with panoramic paths, vineyards and nearby villages to explore. There are numerous ways to enjoy the water too as well as attractions of all shapes and sizes – see our activities page to find out more. The area has plenty to offer by way of culture and history with 11th and 12th century architecture and frescoes from the same period, evidence of Roman settlement and the sights of Lazise and Garda close by. Historic buildings include beautiful villas, palazzos and lovely old churches and historical dates and holy days are celebrated with festivals and parades throughout the year. Food and wine have always been a huge part of life here - learn all about the town’s culinary heritage at the Olive Oil and Wine museums, go for tours and tastings and make sure you visit the traditional lakeside market to stock up on local produce – the weekly markets are a big part of Lake Garda life. 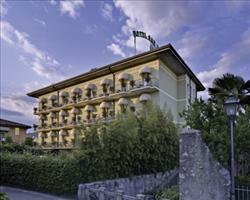 Find out more about the history of the town and local historical attractions on our Bardolino history page. When is the best time to visit Bardolino? To experience the town at a quieter time, book a holiday in May, September or October. The weather is warmest in July and August if you want some Italian summer sunshine. If you’re planning a really active holiday and don’t want to be held back by heat and humidity, go in May or October when the weather is usually nice and mild. The wine festivals add a fantastic atmosphere to the town – so if you’re thinking of a holiday in late May or early October, check to see when they’re on. To see what the weather’s like in Bardolino, check our weather and climate page. May is the first mainstream month for summer holidays in Bardolino and offers warm weather as well as the Chiaretto wine festival. Read more about the climate and what’s on in May here. The weather is lovely and warm here in June, which is a good time to visit before the summer holidays kick in. For more info about what to expect in Bardolino in June click here. 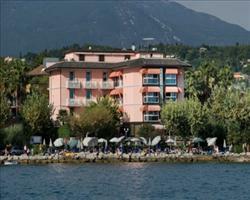 If you like hot Italian sunshine and that summer holiday buzz, visit Bardolino in July. You can find out all about what’s happening in July here. August is another great month for hot weather and one of the busiest months here. Details on climate and what’s on can be found here. The summer heat and crowds subsided come September, leaving lovely warm weather and a more relaxed atmosphere. Click here for everything you need to know about Bardolino in September. October is the month of the famous Grape and Wine Festival and with milder weather is a fantastic month for active holidays. Read more about October here.